With arms raised, Xbox head Robbie Bach declared during Microsoft's CES keynote address, "This Spring we'll launch the Primetime channel on Xbox!" While the announcement didn't exactly elicit an ovation from the crowd, it does put a relative timestamp on the arrival of another, delayed piece of the NXE puzzle (we're still waiting on word about movie sharing). The Primetime channel's complete lineup remains a vague concept of "scheduled social events," but we do have 1 vs. 100 -- and its limitless chest of real prizes -- to look forward to. The game-show-turned-game-show was briefly demoed during the keynote, ostensibly confirming 102-player support (The One versus the 100-count Mob -- plus one host). Players will be represented by their Avatars and will answer questions "about really, really recent pop-culture," according to Engadget. The demonstration asked: "In 'The Curious Case of Benjamin Button' who plays a character that ages in reverse?" Three potential answers were offered. Clock's ticking! 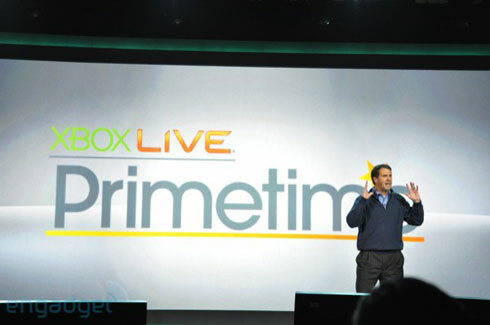 Xbox Live Primetime coming springtime originally appeared on Joystiq on Thu, 08 Jan 2009 11:22:00 EST. Please see our terms for use of feeds.